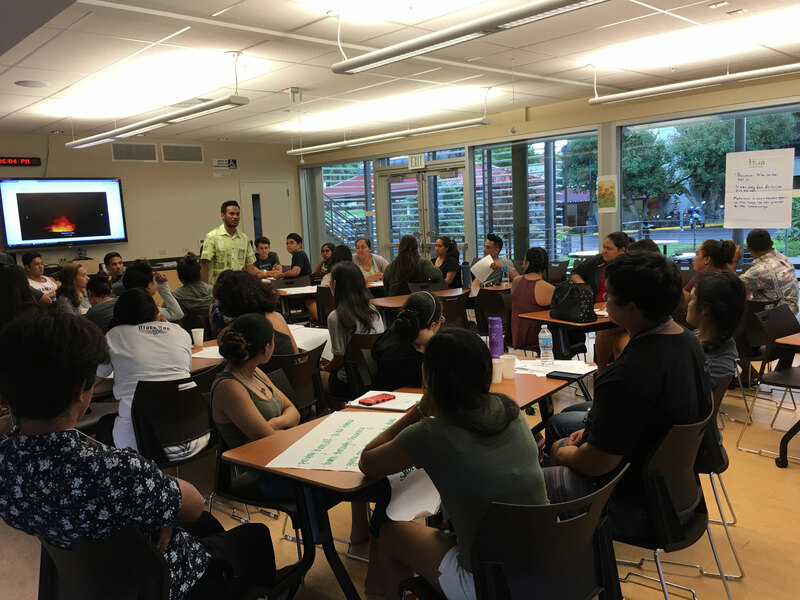 The Ke Ala Pono Student Development Program supports the vision and goals of Kīpuka by providing services that support academic success of Native Hawaiian students within an intellectually stimulating and culturally responsive environment. 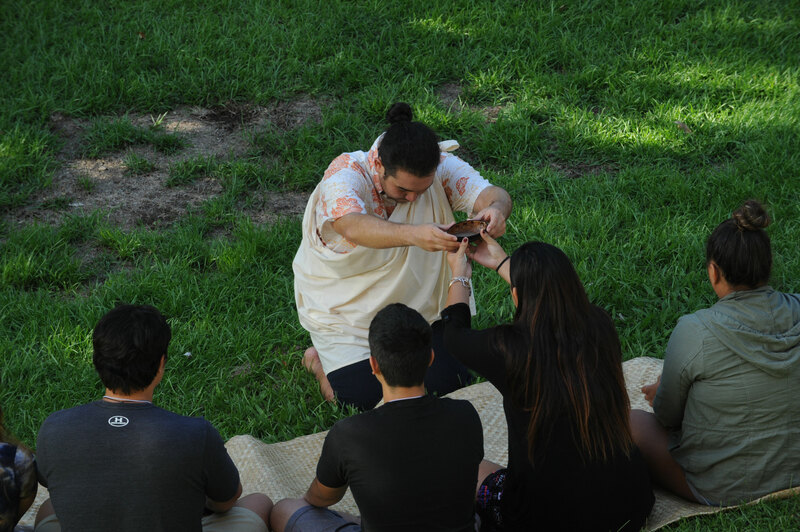 The Kīpuka Native Hawaiian Student Center - Ke Ala Pono Peer Mentorship Program provides support to new students enrolled in the University of Hawaiʻi at Hilo. Students (mentees) that participate in this program will partner with Peer Mentors with comparable backgrounds, majors, and interests. This will be a structured partnership that is designed to help mentees acclimate to this new academic environment. The overall purpose is to support Native Hawaiian student success and retention. Provide guidance and academic support through tutoring, group work, brainstorming, etc. Help student get acclimated to the college environment by "showing them the ropes"
Designated for use by registered students only. Students must sign the COMPUTER USE AGREEMENT prior to using any of the computers. Terms for computer use are detailed on the agreement. IMPORTANT: (1) Collateral for the laptops must be provided. Student identification cards are preferred. However Passports, driver’s licenses, or State IDs can also be used as collateral. The Mālama Kaiāulu Program coordinates culturally relevant community service activities within engaging learning environments. Work sites are located both on and off campus. Student participants can apply accumulated hours to scholarship and course requirements. Aloha nui kākou! My name is Kainalu Steward and I was born and raised in Lahaina, Maui. This is my third year at UH Hilo with a major in Hawaiian Studies and a minor in Agriculture. On my free time I love to surf, volunteer at the loko iʻa, or just listen to roots reggae music. I also enjoy connecting with others and giving back to the community. I like to use science as a tool to better understand the past of our kupuna and apply it to improve our current natural resources. I think its important for kanaka maoli to be involved and seek higher education! Copies are limited to 5 pages. Aloha mai kākou! My name is Caitlin Poe and I am from the island of Hawaiʻi, born in Kona, and raised mostly in Hilo. I am a junior at UH Hilo, majoring in Psychology and minoring in Hawaiian Studies. I am the English and writing tutor at Kīpuka Native Hawaiian Student Center. I love visual arts, poetry, and going out to the movies and the beach with family and friends. I enjoy learning subjects such as: English, psychology, Hawaiian history, ethnic studies, and indigenous politics. Please come and see me for any assistance! Aloha pūmehana kākou! My name is Temaʻuonukuhiva Teikitekahioho-Wolff. I am a senior here at UH Hilo studying a double major in Hawaiian Studies & Marine Science, and also pursuing a minor in Mathematics. I was born in Hilo and raised in the fragrant hala scented walls of Puna. I am of Marquesan, Hawaiian, Chinese, and Dutch decent. I am 21 years old and am currently in my senior year. I enjoy learning about Polynesian cultures, surfing, spearfishing and cooking sustainably. I am looking forward to a prosperous and exciting school year for all of us! Aloha kākou! My name is Leimana but most people call me “Lei.” I am from the island of Maui. My family is from the ʻāina of Wailuanui, ʻUlaʻino, and Kūʻau. I love to throw net, fish, and enjoy kai kine tingz. 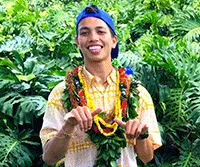 I am a Hawaiian Studies and Hawaiian Language major with a minor in Agriculture. “Catch” me around campus and Kīpuka! 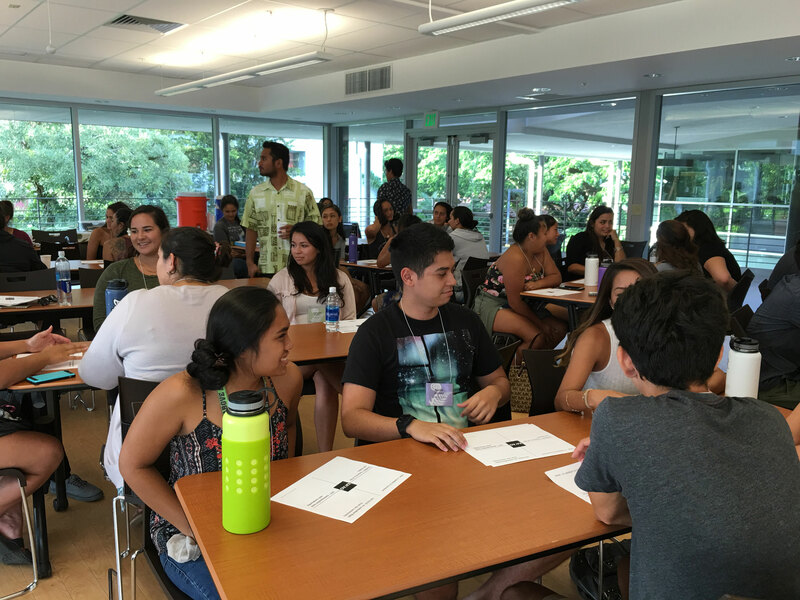 Makalapua Naʻauao is a new, innovative financial aid pilot program co-funded by the University of Hawaiʻi and Kamehameha Schools, part of the Hui Hoʻopili ʻĀina Partnership. 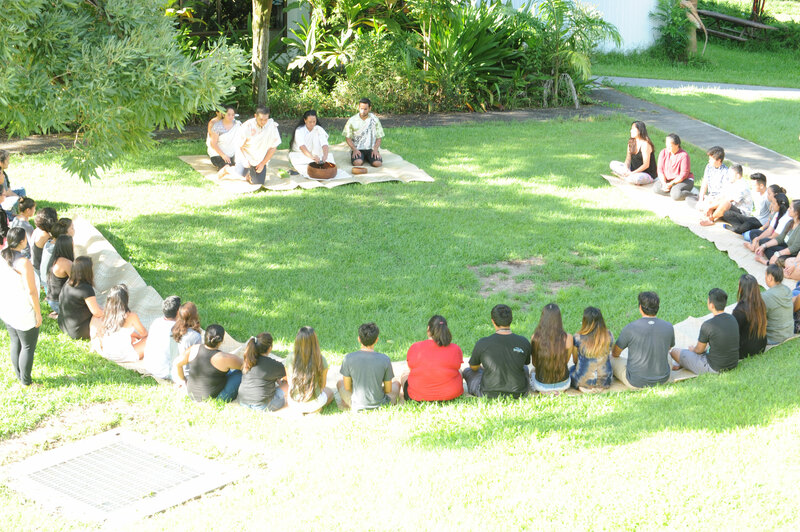 The program will accept a cohort of up to 50 Native Hawaiian students at the University of Hawaii at Mānoa (UHM) and the University of Hawaiʻi at Hilo (UHH) and offer them a scholarship of up to $10,000 per year for up to 4 years, as long as students meet program requirements and follow guidelines as outlined in program documents and expectations. Program is no longer accepting applications.